Zack Snyder is currently hard at work on the live-action Justice League movie for Warner Bros., which is set to be released next year. There are a lot of reasons to be excited about the movie, but one of the biggest is easily getting to see more of Ben Affleck as Batman. But that begs the question, when are we going to see the solo Batman movie? It looks like Warner Bros. is actually going to be subbing in Ben Affleck's The Batman for Justice League 2. The news comes courtesy of The Hollywood Reporter and they claim that Warner Bros. is bumping back Justice League 2, which was slated to come out on June 14, 2019, for The Batman. 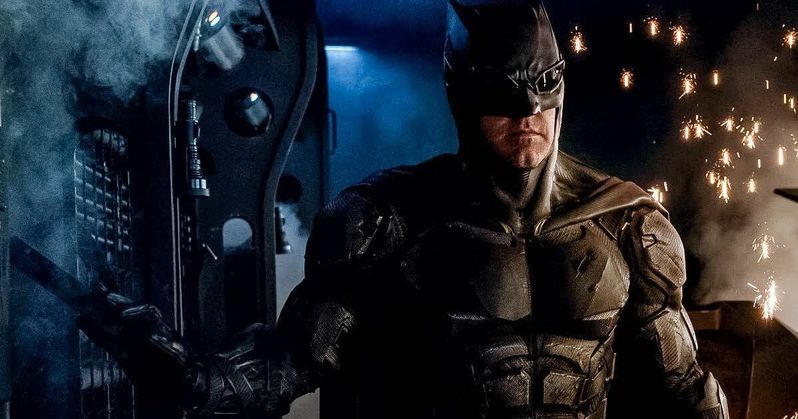 The report didn't clarify if the first solo Batman movie in the DC Extended Universe would be coming out on that same release date, but it seems like a safe bet. With reports circulating that The Batman will be shooting soon, it would make a lot of sense for Warner Bros. to get a release date set for the movie as soon as possible, but many fans would probably prefer it if that date were sometime in 2018. Related: Zack Snyder Has Minimized Role in Future DC Movie Slate? As for The Batman, there has been seemingly equal parts excitement and confusion about the movie in recent months. While doing press for his latest movie The Accountant, Ben Affleck was (understandably) pestered quite a bit about his upcoming Batman movie for the DCEU. At one point, he seemingly revealed that the title of the movie would be The Batman, but shortly after that, he took a step back and made it seem as though The Batman wasn't totally, one-hundred percent happening at the moment. All the while Joe Manganiello, who has been cast as the villain Deathstroke, has been giving interviews making it seem like the movie is full-steam ahead, claiming that shooting could start very soon. Another report made it seem as though the script for the movie is a complete mess, so there is a lot to sort out, but the movie is definitely happening and that timeline would definitely make sense.